Preparing for an interview yesterday with a prominent Los Angeles business journal, I didn’t have to walk more than five feet from my office to get some great insight on the evolution of marketing in Los Angeles, reminding me once again what an amazing and experienced team of digital media professionals I get the pleasure of working with each day. The reporter was interested in my thoughts about why LA has increasingly become a hub for marketing companies in recent years, and my colleagues Matt Boyd and Brian Stone had plenty to add to my understanding of the topic. Thanks guys! The short answer is that LA has always been a hub for marketing activity because it’s a major media market and home to the largest and most diverse creative community in the world. Digging a bit deeper, at least from a digital perspective, in the mid 9os, smaller marketing agencies were building out online advertising expertise that today is now dominated by large agencies like OMD, Initiative, Carat, Starcom and Mediavest — in many cases as a result of acquiring those smaller, more specialized shops. Another reason marketing has found success here in recent years is that the Internet is no longer the exclusive domain of technologists, as was the case for the Silicon Valley during the dot-com boom years. The tools are now fully in the hands of creative and media professionals all over the world. Also, unlike the financial and tech focus of San Francisco, LA is home to some fairly recession proof industries, including entertainment, games and (at least compared to domestic manufacturers) some innovative foreign automotive brands. Another thing LA has going for it is a thriving marketing community which frequently circles its wagons around the popular thinkLA organization. The Los Angeles Advertising Agencies Association, the Ad Club of Los Angeles and the Magazine Representatives Association merged to create thinkLA in 2006. 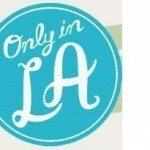 Since then, it has successfully brought us together as an industry and I’m particularly impressed by its “Only in LA” campaign to promote Los Angeles as a center for creative thinking and innovation in marketing and media. We’ll see how much of these thoughts make their way into an article and I will report back when it’s published next month.